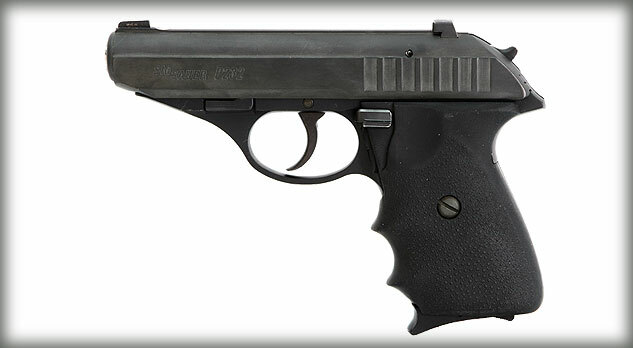 The SIG SAUER® P232® is a small and lightweight pistol. Chambered in .380ACP and featuring a fixed barrel blowback action, the P232 is one of the most reliable back-up pistols available with a well-earned reputation as a rugged, accurate shooter. Its proven design of perfect balance, smooth contours and rounded, snag-free edges make it ideal for personal protection. It’s the pistol’s small size that makes it easy to carry concealed whether in a discreet holster, purse or on the ankle and yet the outstanding ergonomics of the grip design allow for comfortable shooting even in large hands. At under 19oz in the Blued version, the sleek single-stack P232 is a pleasure to carry throughout the day. No wonder it’s one of the premier off-duty guns carried by federal agents and law enforcement professionals today.